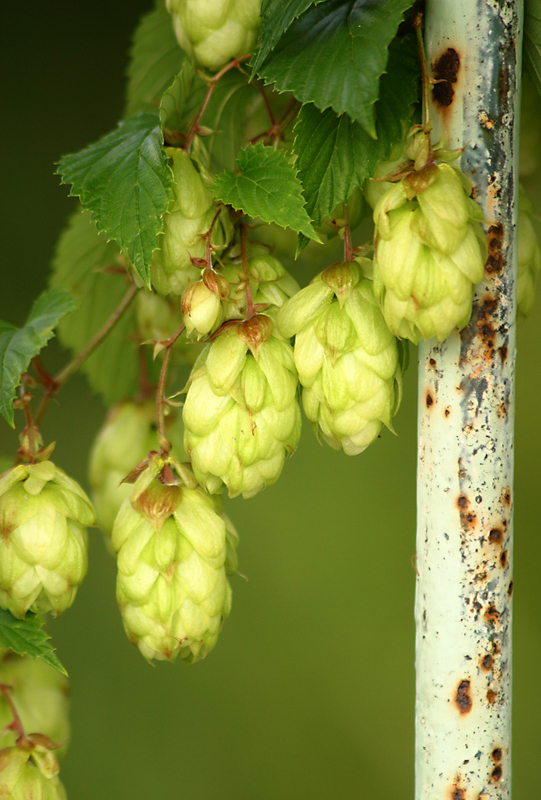 Did you know that hops grow best between the latitudes of 34-50 degrees? That’s one reason, among many, that Belgium has had a long history of making beer, and why some breweries in the northern half of the United States are trying their hand at growing their own hops (and other ingredients) to bring you beers that you can trace more ingredients back to their source. For example, The Chatoe Rogue series from Rogue Brewery in Newport, Oregon and Estate from Sierra Nevada in Chico, California. Rogue brewery even went so far as to build their own malting house so that they could make a beer entirely (or nearly entirely) on site. If you’re not familiar with all the processes that go into brewing beer, this might not seem like a big deal. 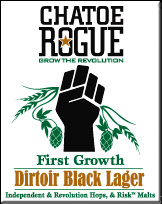 However, considering that most barley for most beer is malted at one of four Maltsters in the world (one in the US and three in Europe), it’s a pretty significant feat for a craft brewery, such as Rogue. Last week, my homebrewing husband and I embarked on our own beer related adventure that we’ve been dreaming about for quite some time. We planted our very own hop plants, which we procured from a local homebrewer that was selling some of his rhizome cuttings on Craigslist. Having worked for a CSA farm a few years back, I thought perhaps the horticultural knowledge and experience I gained there would have prepared me in some way. Not all that surprisingly, I was wrong. 25 foot vines that can weigh more than 20 pounds are way beyond anything I’ve grown before. How exciting! 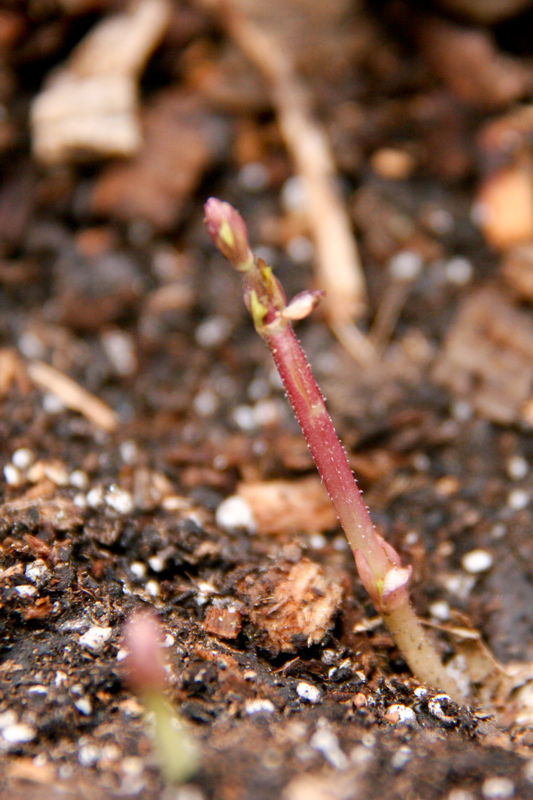 There is a lot we will need to learn to take care of our new little hop rhizomes that are just now beginning to push their bines (hop vines) up out of the soil. Fortunately there’s lots of resources on the internet, and we’ve also got a copy of the book The Homebrewer’s Garden by Joe Fisher and Dennis Fisher. Hopefully at this time next year we’ll even be drinking some of the fruits of our labor. This entry was posted in In the Kitchen (recipes & more), On the Farm and tagged Barley, Beer, Homebrewing, Homegrown, Hops, Malted Barley, Meg Fairchild, Rogue, Sierra Nevada, The Homebrewer's Garden. Bookmark the permalink.